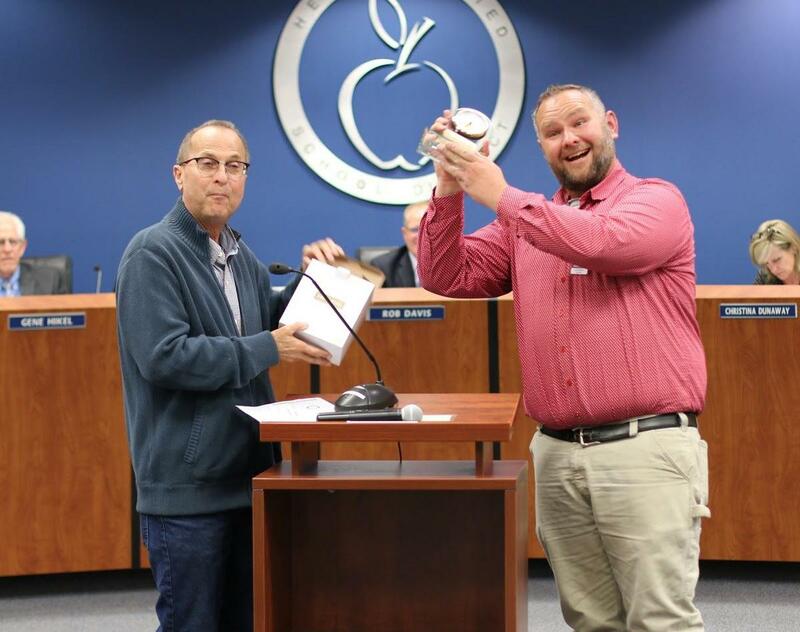 The Governing Board of the Hemet Unified School District, on nomination by Trustee Patrick Searl, has selected John Campbell, Teacher at West Valley High School as the January recipient of the Governing Board Recognition and Award. Mr. John Campbell received a Bachelor of Science degree in Agriculture in 2010 and a Master of Science degree in Agriculture in 2012, both from California State Polytechnic University, Pomona. He began teaching at West Valley High School in August 2012. John is a valuable asset to West Valley High School. He currently serves on our site Leadership Team as a Science Department Chair and regularly attends a variety of conferences in order to meet the new expectations for Science established by NGSS and measured on the CAST. Mr. Campbell is also a pivotal part of our Agriculture/FFA team working long hours in the evening, on the weekends, and during breaks to build the program and inspire our young people. Mr. Campbell also works many events selling food in order to raise funds as a means of supporting the Ag program here at West Valley. Additionally, he has worked hard on a tractor restoration. The most important piece of what John does everyday happens in the classroom though. He teaches a wide array of classes that include Ag Mechanics and Ag Chemistry this year and Ag Biology, Ag Floral, and Ag Plant and Soil last year. In fact, his students have showcased and sold Ag mechanics projects at the Indio Fair. He has also taken several field trips to the Wild Animal Park where students go behind the scenes to work with animal DNA and explore scientific fields in zoology. He is able to motivate and inspire a diverse group of students to come to class and perform at their highest level. He challenges these students to not give up and continue to be a better version of themselves. Students respect Mr. Campbell and all that he does to meet their needs as students. It is always a great day to be a Mustang at West Valley because of teachers like Mr. Campbell. 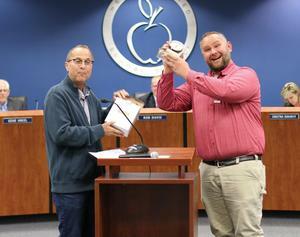 For outstanding performance, professionalism and loyalty to the Hemet Unified School District, Trustee Patrick Searl presented John Campbell with the Governing Board Recognition of Excellence Award and a $500 certificate to be used toward the District program of his choice.